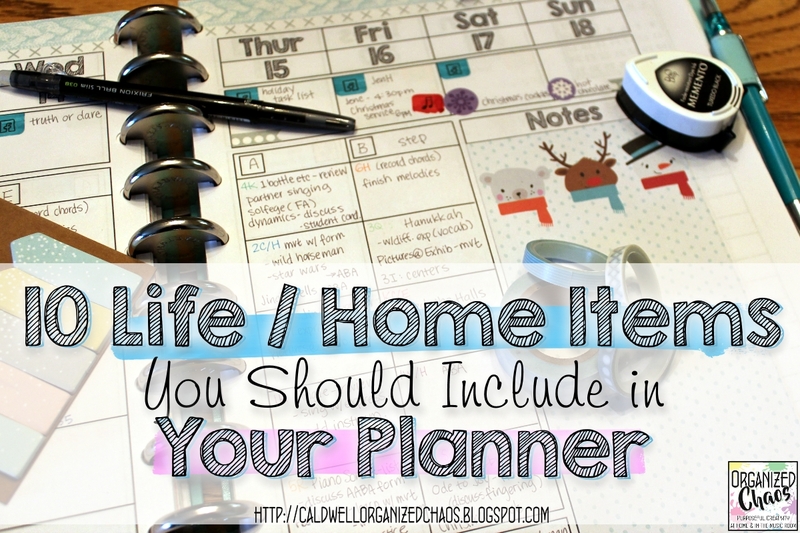 Whether you're just getting started with planning or are looking to up your planner game for the new year, I hope you find this list helpful for starting the year off more organized! 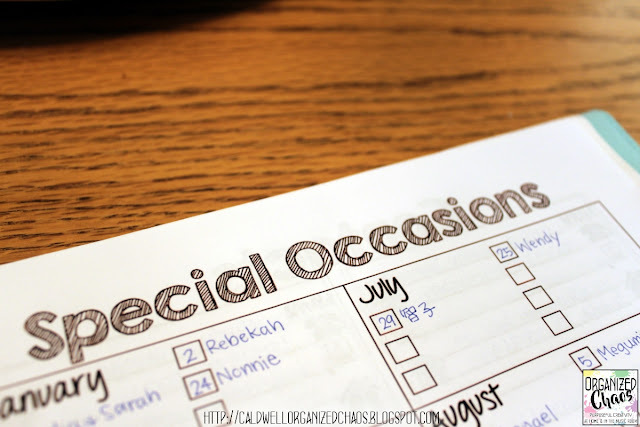 OK, it's nothing new to write down friends' and family members' birthdays, anniversaries, and other special occasions. But here's a tip: make sure, if you look at your list monthly (like I do) or have them listed on your monthly calendar, that you note when you want to get cards and gifts in the mail. This is especially important for dates that fall at the beginning of the month. There were so many times when I would look ahead to the new month coming up and find that there was a birthday I needed to shop for coming up in 2 days! I go through each year and make a note on the to-do list for the week I need to get things in the mail so that I don't miss any special occasions. This is another pretty obvious one, but important nonetheless. If you have children, go ahead and write down all of the days that they have off school (and any early dismissal days) on your monthly calendars for the year. 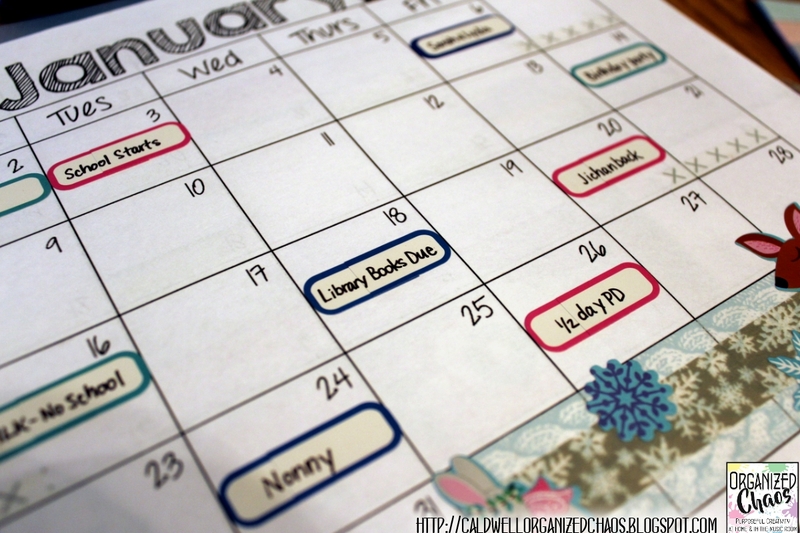 It makes it much easier when you're planning trips and babysitters if you have it all laid out ahead of time! 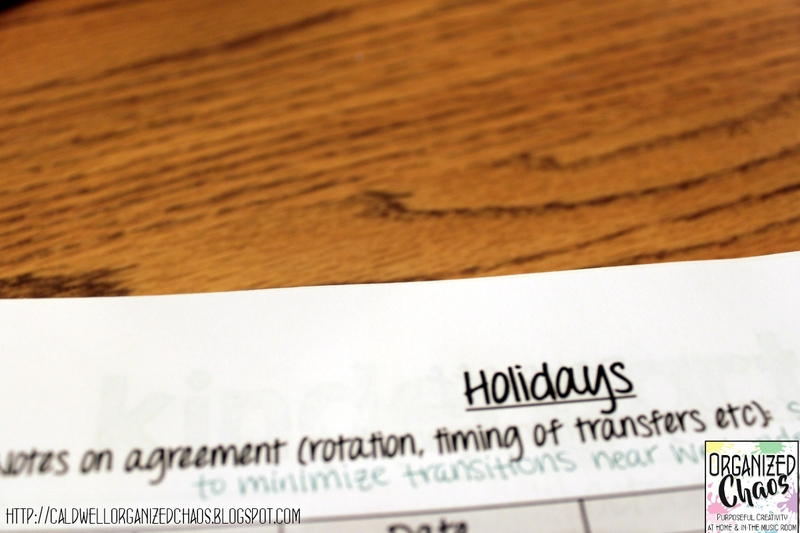 And if you're a teacher AND a parent, the only way you'll figure out when you have different holidays (assuming you're in different schools) is to combine both calendars into one! 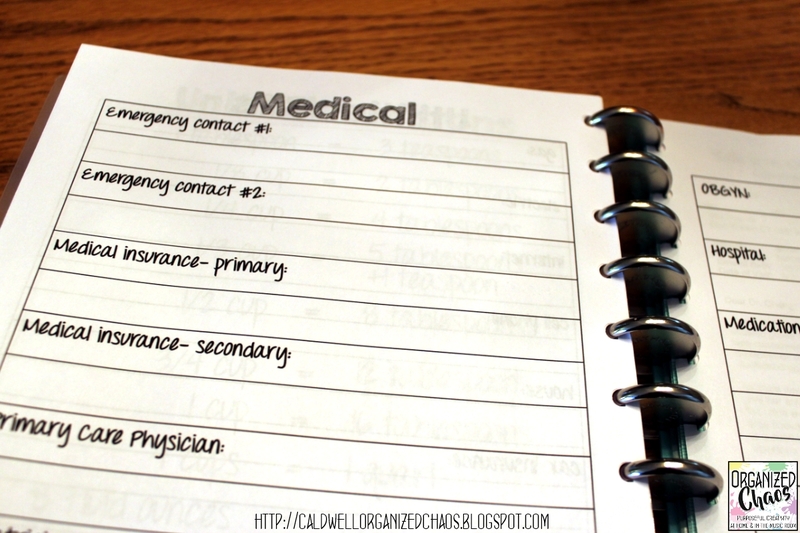 Whether it's doctor's appointments, library books you need to return, taxes you need to file, or other appointments you may have, write them down! Relying on memory, no matter how routine the task or appointment may be, is usually not a good idea. Even it you do remember to do it, you may forget about it when you're making plans with a friend 2 weeks beforehand and double-book yourself! 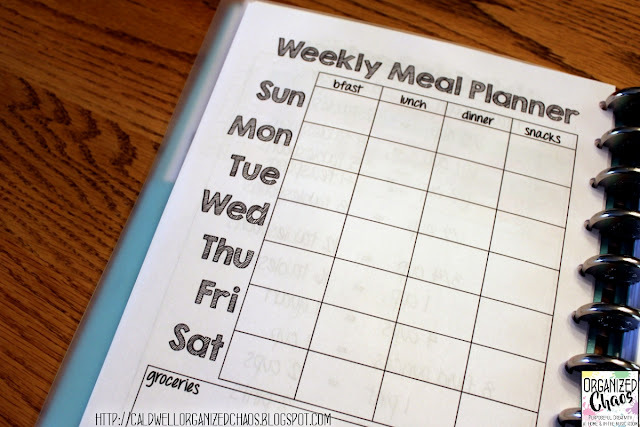 I absolutely love meal planning and don't know how I could manage to get food on the table (or in the lunchboxes) every day without it. When I first went back to work after my daughters were born, I created a command center for my kitchen, including a meal planner for dinners. 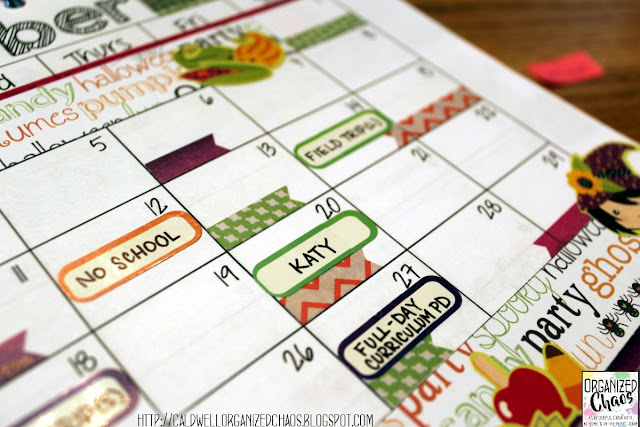 Later when the girls started going to school, I created a lunchbox meal planner, which also hangs on my kitchen wall (read about my meal planners in this post). If you have a system for organizing and planning out your meals outside of your planner, I still recommend noting what meals you have planned in your planner. I've found it helpful to be able to glance at my planner while I'm out of the house to see what I had planned. I note the dinners I have planned at the bottom of each day, under my lesson plans. 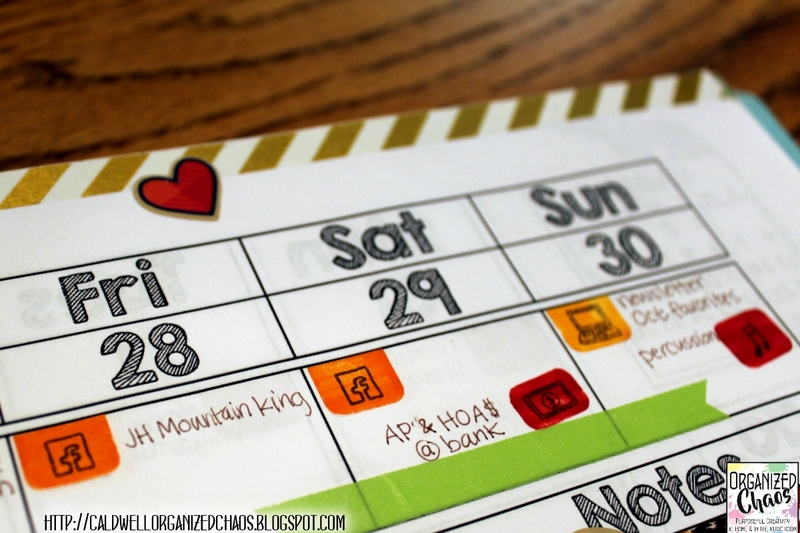 If you don't have a command center in your home, you can do the entire thing in your planner! Just laminate a meal planning page and use a dry erase marker to write out your meal plan for the week. Then when you're done, you can erase it with a wet wipe and plan out the next week. 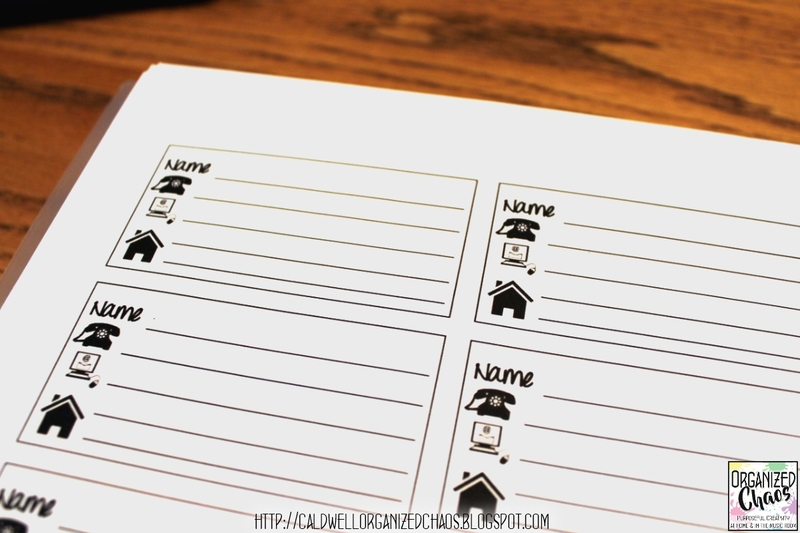 I include a lot of contact information in my planner and it has saved me on many occasions! Let's start with personal contact information. I used to think I didn't need a "contacts" section in my paper planner because I had all of my friends' phone numbers and addresses in my phone. But when I locked myself out of my house with my phone still inside, I was really happy to have my planner in my purse with my mom's phone number! Because I keep all of the phone numbers in my phone, I don't have anyone's number memorized (like we used to in the "good ol' days"!). Besides friends and family, though, I have found it very helpful to record phone numbers and addresses for my medical, insurance, and utility providers, as well as my work phone and address. So many times when I'm filling out paperwork I need to have that information, and looking it up on my phone, online, or in my files is a pain. This one only applies to people who co-parent, but it's very important for those who do! 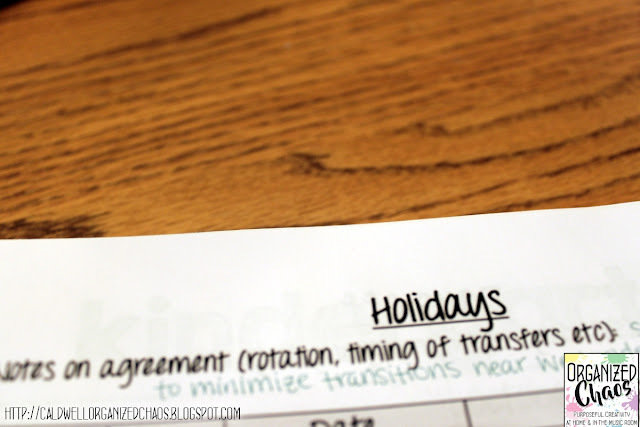 I write down all of the holiday schedules that we have agreed on for the year in my planner so I can plan out our schedules, and I also record general agreements that we have about sick days, doctor visits, and more. It's almost impossible to remember all of that information, but it's so important to be able to stick to them. If you haven't seen it yet and are in a co-parenting relationship, I hope you'll go check out my co-parenting / divorce planner. It's a free download and it has helped me so much. 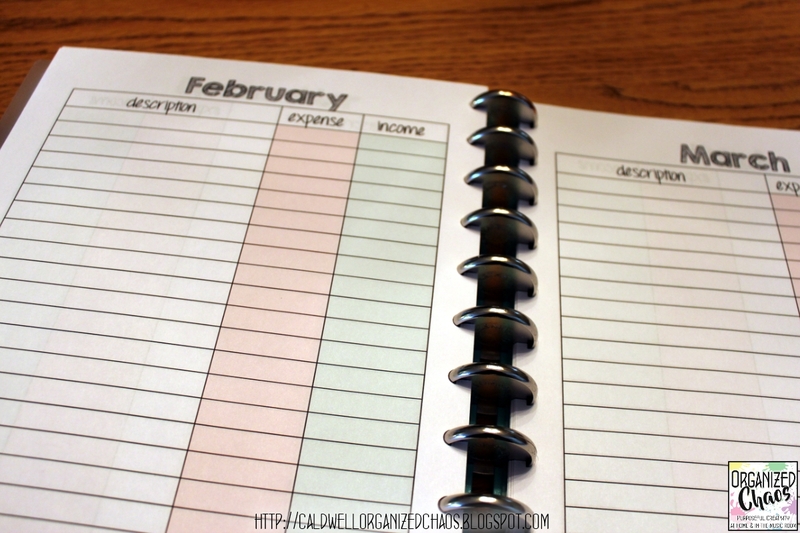 If you have any kind of side income or expenses that you need to track for taxes, keep a log in your planner! Tax season is stressful enough with gathering documents and chasing down information. Limiting the numbers you have to search for is so helpful! 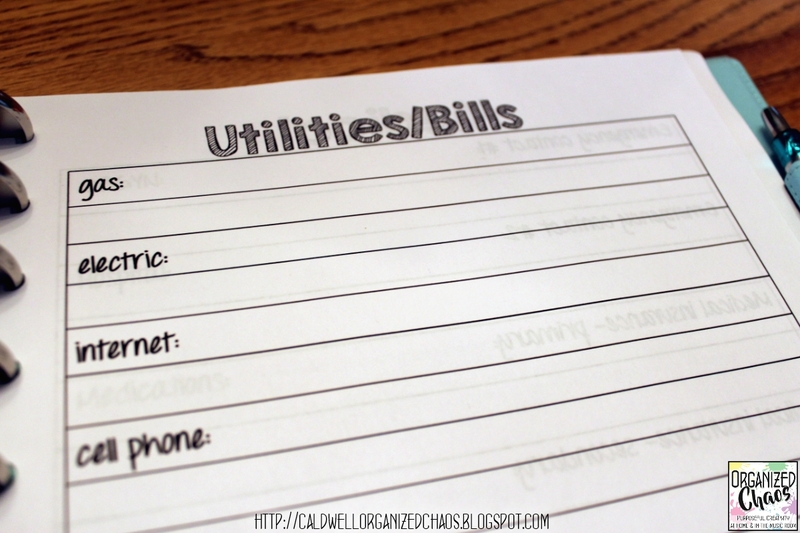 One thing I highly recommend for getting organized with your budget is getting as many of your bills on automatic payment plans as possible. I still have a few that I have to pay manually though, and for those I always make a note in my planner of the exact day I am going to sit down and write the check to put in the mail. 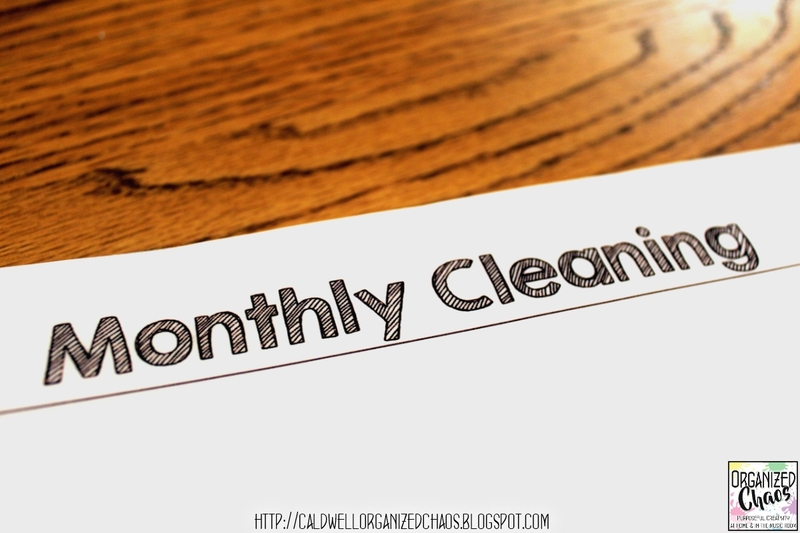 I used to just have it listed as a monthly task, but I found I just kept putting it off, and sometimes forgot to do it altogether! This way I have a specific time set aside for paying each bill in a timely fashion. Ugh. I enjoy cooking, and I don't mind laundry or dishes, but cleaning... that is my nemesis. I will do anything to avoid cleaning. I'll admit that even with my cleaning tasks planned out in my planner, I still avoid doing them sometimes, but I'm definitely much better with it written down than I would be otherwise. I have a weekly cleaning checklist that I keep in my house, but for less frequent monthly or seasonal tasks, I have a list in my planner that I've laminated. I check things off with a wet erase marker as I do them, and once I've gotten through the list, I can erase and use it again! 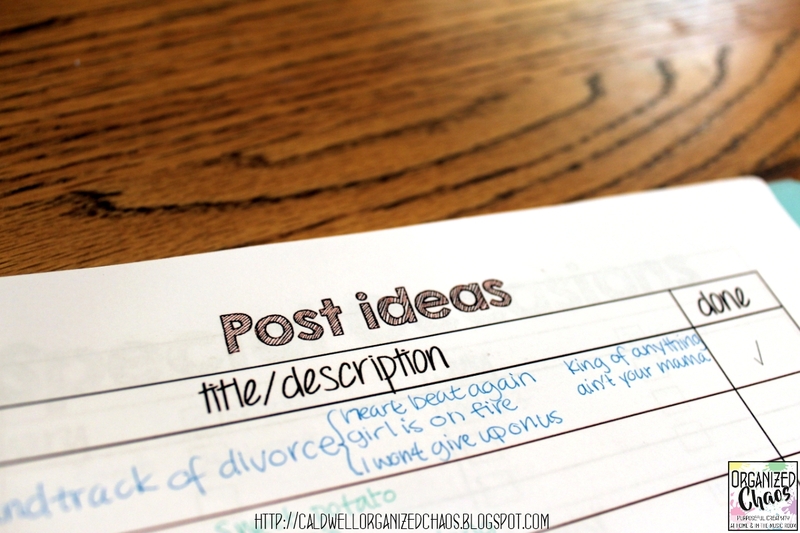 Keeping a running list of ideas for future projects is a great way to keep going with hobbies you want to continue. My main "hobby" is this blog, but my time to work on blogging and other "me time" activities comes in brief spurts. Ideas come up for blog posts all the time but if I don't write them down, I forget about them and it's hard to get started when I do find the time to sit down and write! 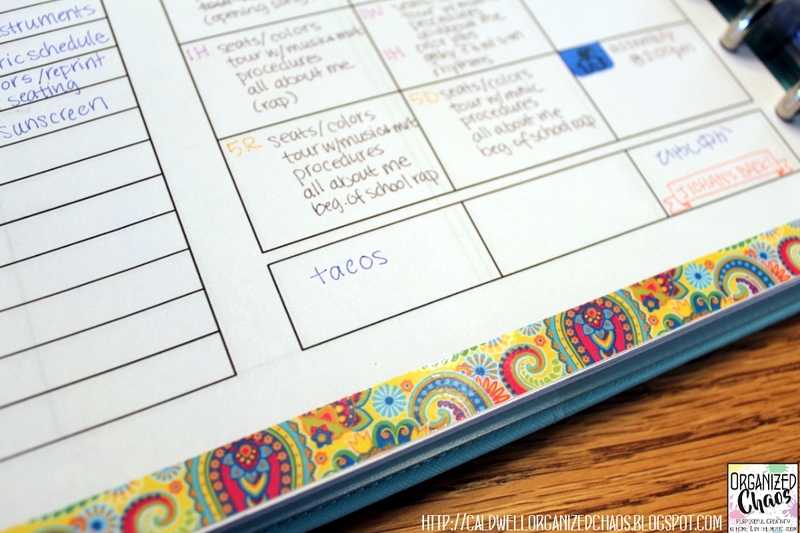 With the list in my planner I can quickly glance at it and I'm able to get going and use my time to create and have fun rather than hemming and hawing and waiting for inspiration to strike. If you like to travel, read, or try new restaurants, create a place to add new books to read, places to go, or restaurants to visit so that when you find the time you can remember that little Mexican place your friend told you about 3 weeks ago. Want more? Click here to sign up for the Organized Chaos newsletter and get ideas and resources sent straight to your inbox!